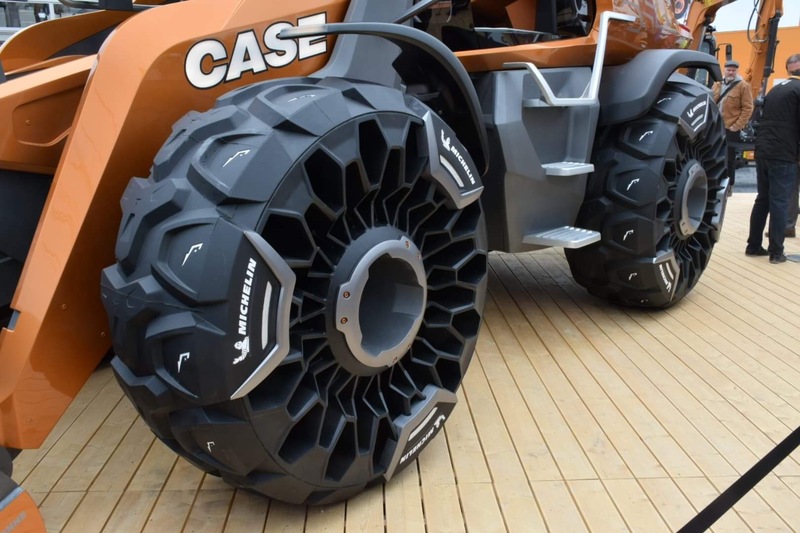 Case Construction Equipment has developed the prototype of a methane-powered wheel loader. On display at this week’s Bauma construction show, in Munich, Germany, the project, code-named Tetra, benefits from the existing R+D program of CNH Industrial sister brand New Holland Agriculture, which has developed a methane-powered tractor. The FPT Industrial methane engine in the Case concept delivers the same 230hp maximum power as the equivalent diesel powerplant, but the methane version does it with a 50% reduction in drive-by noise levels. It is not just quieter, but also produces 95% less CO2 when running on biomethane, 90% less nitrogen dioxides and 99% lower particular matter than a diesel powered equivalent, delivering a claimed 80% reduction in overall emissions. 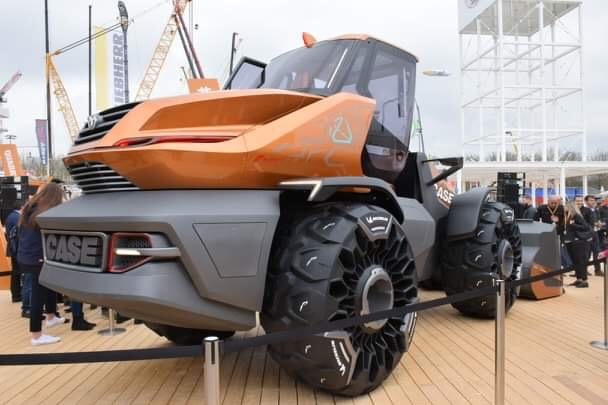 Fuel is stored within tanks at the rear and sides and Case says that the methane-powered wheel loader concept is able to complete the same tasks as a standard diesel-powered wheel loader. Key design features of the radical new exterior look include a forward cab stance, high visibility 360° glazing (16% more than a standard wheel loader), a high visibility roof panel, and an industry-first sliding door. With stylishly designed loader arms, fenders, cab, rear wings, engine cover and counterweight, the design includes dynamic air intakes in the engine hood and downward mounted exhaust. 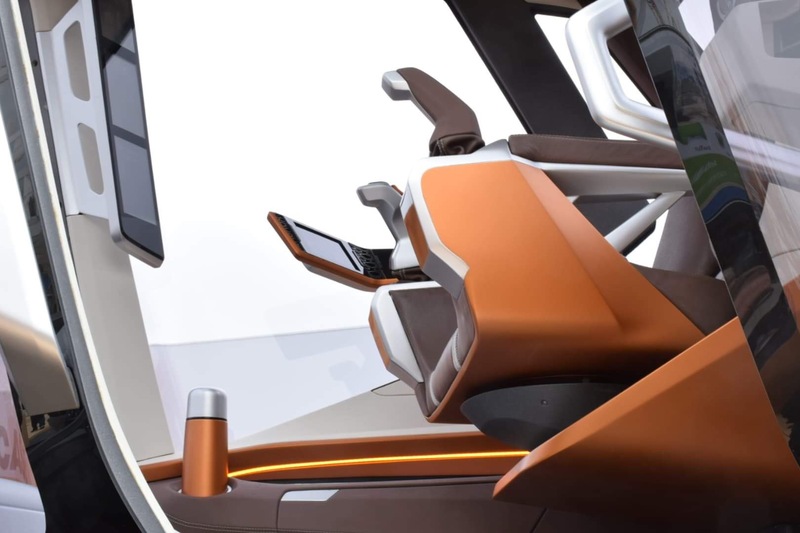 Inside then cab, the seat automatically extends and pivots to facilitate entry upon door opening, returning to the operating position immediately after the operator is seated - an industry first, says the company. Other new features include the integration of biometric facial recognition technology into the access and start-up sequence. A door-mounted facial scanning sensor scans the operators face, upon approach, to activate door opening. Once the operator is in the cab, a second scan is conducted from the armrest monitor for final confirmation and to initiate the start-up sequence. The tyres fitted to the concept wheel loader are also worthy of closer inspection. CNH Industrial and Michelin design teams have partnered to develop a vision for a future airless tyre and one that features an in-built suspension system. The mind boggles. The Tetra is still a concept but Case says it is already working towards ultimate market viability.